Elizabeth Whetstone, from Buckeye High School, has returned from her Rotary Youth Exchange Year in Brazil and now, with a deeper appreciation for her family, school, community and Rotary, she wants to make sure that Medina shares its value in the larger global community. 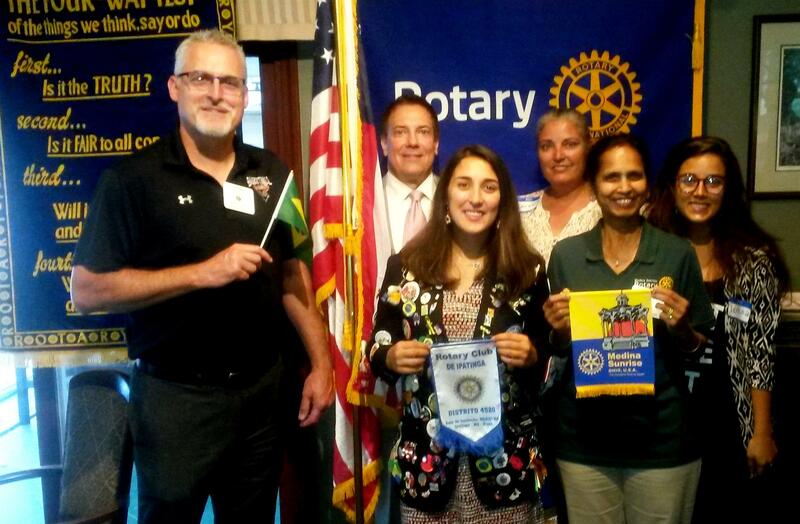 “During my Youth Exchange Year in Brazil, I was a representative of America, of my family, high school, and of Rotary," said Elizabeth. "Doing something bigger than yourself, it humbles you and fills you with an appreciation for every person, every friendship, and every opportunity which comes into your life. I learned always to say, 'Thank you - Obrigado!'"